Volvo began tests of its new articulated electric buses in Gothenburg, Sweden. General operations are to start in June. The new buses are 18.7 m long and can take up to 135 passengers - a lot more than the standard 12 m 7900 Electric buses that were currently available. Today, Volvo has only two prototypes of the articulated ElectriCity buses, but production will begin in the near future. To make buses capable of carrying more passengers, Volvo doesn't offer big battery packs, but rather opts for the OppCharge fast charging system (up to 450 kW) at bus stops. "In June, regular traffic with electrified buses will expand in Gothenburg. Two prototype all-electric articulated buses will be tested on part of route 16, which has frequent departures and carries a large number of passengers. 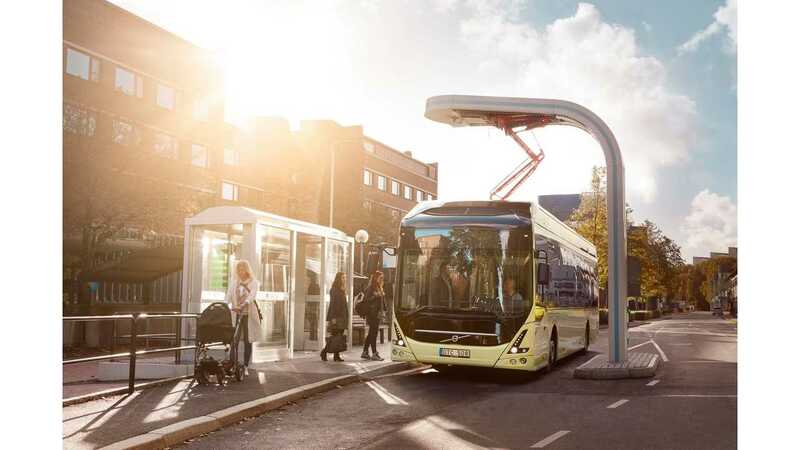 The trial is being run within the framework of ElectriCity, which since 2015 has been running electrified buses in demo traffic on route 55 in Gothenburg." "The two new additions that will become operational this summer are 18.7 metre long articulated buses with space for up to 135 passengers, of whom 38 seated. The buses feature four double doors, large unobstructed floor surfaces and ergonomically designed bars, grab-handles and backrests for standing passengers. The designers also focused on creating a colour-matched interior with suitable lighting. The idea is that a large number of passengers will be able to quickly board and exit the bus at every stop. On board there is free wi-fi, charging points for mobile phones, and enhanced traffic information. 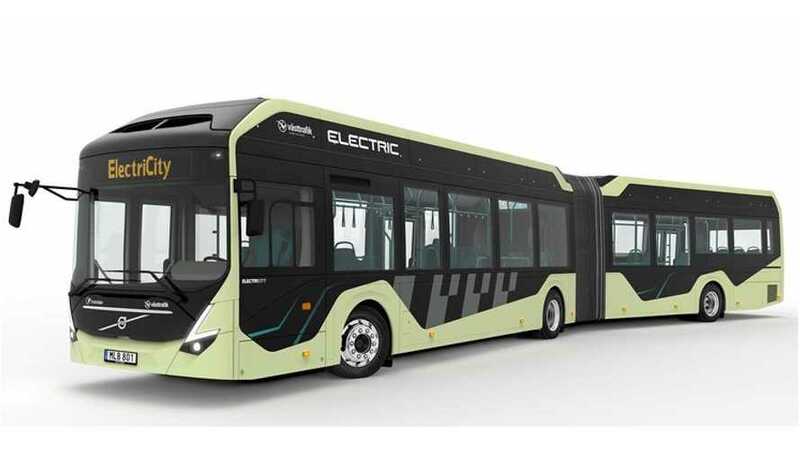 Between 14 and 21 June, the new electric buses will operate on the “Volvo Ocean Race route” between Nordstan and Frihamnen in the city centre in conjunction with the various activities linked to the race. From 25 June the buses will operate on route 16, between Eriksbergstorget and Nordstan in the mornings and evenings, and between Eriksbergstorget and Sahlgrenska hospital during the day. Operation will be handled by Transdev, which already provides bus services on the regular route 16." “By expanding the demonstration arena and testing high-capacity electric articulated buses on a route that carries many passengers, we can give more people in Gothenburg an attractive alternative to taking their own cars. The new all-electric buses are far quieter than diesel buses, they emit absolutely no exhaust gases, and they are designed for smooth and comfortable travel. They will also form an important basis for decisions about future investments in electric buses."